program on computer, video projector. 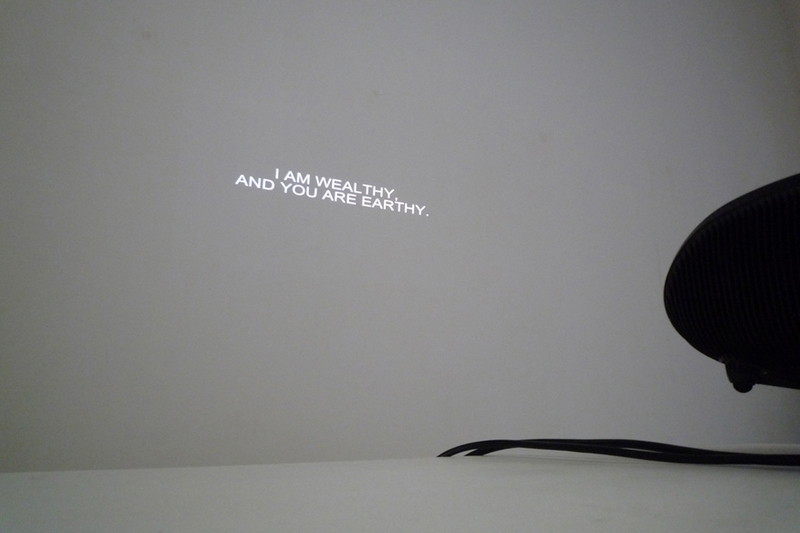 Videoprojected sentences appear, all built under the model "I am ... and you are ...". The words which complete the sentence are randomly taken in a list of adjectives. The process delivers a series of tragical/grotesque assertions, reducing the definition of identity to a set of predefined qualities.